2019 marks the centennial of Pete Seeger’s birth! To honor Seeger’s 100th birthday, Nora Guthrie (Woody Guthrie’s daughter) has created this special multimedia presentation featuring rare and intimate interviews with Seeger, as he recalls his working relationship with Guthrie. 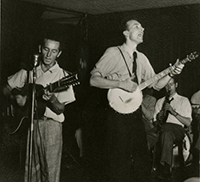 The program will also highlight archival materials, photographs, and music – providing insight into their significant friendship, which ultimately played a huge role in the Folk Music Revival of the 50s and 60s. This program is a fundraiser for the Hudson River Sloop Clearwater, the non-profit organization founded by Pete & Toshi Seeger. 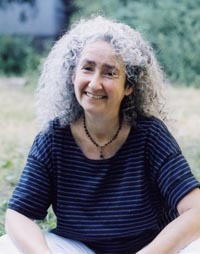 In this program, Nora Guthrie discusses the artistic implications of Woody's relationship with his Jewish mother in law, Yiddish poet Aliza Greenblatt. The program includes a presentation of photographs, music excerpts (from the Klezmatics 2 disc project Wonder Wheel and Happy Joyous Hanukkah), writings, and artwork that illuminate their personal and creative relationship. 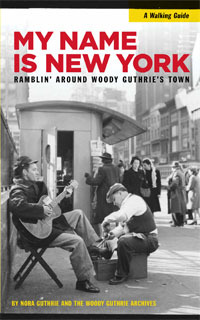 Although Woody Guthrie hails from Okemah, OK, his travels took him right across the country: From California to the New York Island! My Name Is New York - explores the lofts, apartments, and couches where Guthrie lived and wrote some of his most well-loved songs. 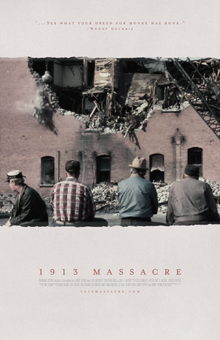 This multi-media presentation uses archival photographs, historic audio, and rare film footage to recreate Guthrie's life in 1940s through 1960's New York City, providing a glimpse into the many places Guthrie called home. 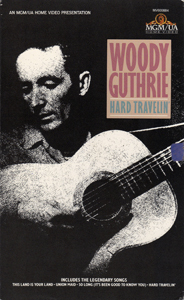 This biographical program details Woody's life through the eyes of his daughter, Nora Guthrie. Nora shares the ideals and stories passed down from her parents. Juxtaposing Woody's lyrics, artwork, and prose with historic and personal family photographs, Nora gives us insight into who he was. 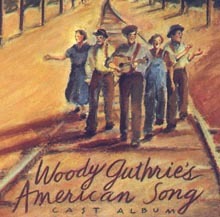 For over 20 years, Nora Guthrie has invited special artists to put music to Woody Guthrie's previously unpublished songs. This program is an exploration through the many artists and genres of music that Nora has worked with bring Woody's unpublished lyrics to life! 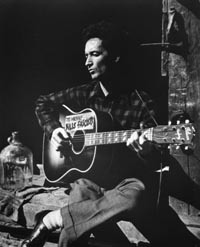 A screening of "Woody Guthrie: Legacy", a 16 minute documentary short directed by John Paulson and created specially for the "This Land Is Your Land: The Life & Legacy of Woody Guthrie Exhibit" which toured around the U.S. from 1998-2001. Not available for view anywhere else, this documentary short features Billy Bragg, Wilco, Ani DiFranco, U2, Bob Dylan, and many more special guests. 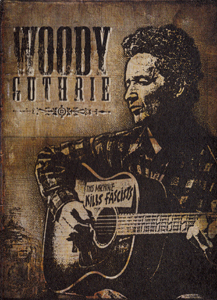 Following the screening, the program includes a presentation of original lyrics by Woody Guthrie paired with the contemporary artist that Nora Guthrie invited into the Woody Guthrie Archives. Who better to introduce Woody Guthrie's life and legacy to our youngest citizens than Woody's own granddaughter, Anna Guthrie Canoni! Especially designed for elementary grade school students, Anna introduces Woody to the next generation. Working with family photographs, Woody's art and children's songs, and personal anecdotes, Anna brings Woody's story to life for young children. Anna works with small groups of students for 30-40 minute gatherings. Teachers are invited to view our online Teacher's Curriculum as preparation for this program. Starring: Arlo Guthrie Woody Guthrie wrote and sang more than 1,000 songs that charged a unique mixture of blues and country music with a social consciousness that cam straight from the heart. His distinguished career inspired Joan Baez, Pete Seeger, Judy Collins, and a host of other folk luminaries who pay tribute to him here. 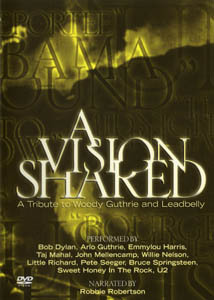 This revealing program traces Guthrie's life through the eyes of his son Arlo Guthrie. 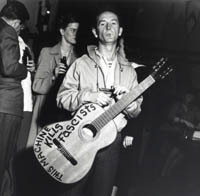 Woodrow Wilson Guthrie's life was truly Hard Travelin', but he lived it to the fullest and his songs remain a gift to the world. 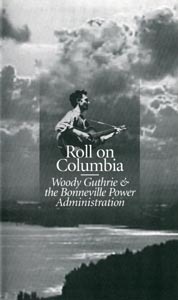 When Guthrie arrived with his guitar and family, the Bonneville Power Administration (BPA) took pity and gave him a thirty-day contract as a temporary employee, paid at the rate of $266.66 per month. Guthrie was expected to write a song a day--which he nearly did, producing 26 songs in 30 days, including American folk classics Roll on Columbia, Jackhammer Blues, Pastures of Plenty, and Grand Coulee Dam. Winner of 2 Academy Awards, Woody's story of his book set against the Great Depression. Academy Award nomination for best film. Rated by movie critics as "4 Stars." 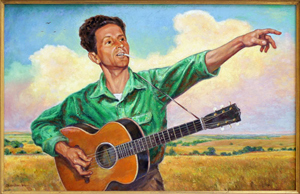 Exhibitions curated by the Woody Guthrie Foundation are made available as a public service. Exhibit fees provide support to the Foundation in the areas of new research and public programs. This 17 panel traveling exhibit was created in 2012 for Woody Guthrie’s centennial. 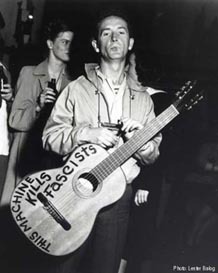 It follows the narrative of Woody Guthrie’s life-story as well as the creative legacy he left behind and the many contemporary artists he has inspired. Each colorful panel includes a vast collection of high quality reproductions of photos, Guthrie’s original lyrics, artworks, cartoons, illustrations, and writings. Curated by members of the Woody Guthrie Foundation and Archive – Jorge Arevalo, Tiffany Colannino, Michael Kleff and Guthrie’s daughter Nora Guthrie – the panels are constructed of light weight laminated paper making it convenient to package and inexpensive to ship. *Available in English, French and German languages. 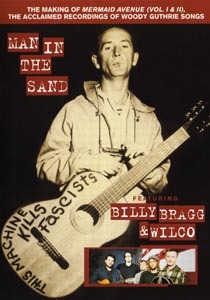 This is an exhibition of selected visual works by renowned American folk musician and activist Woody Guthrie. Curated and designed by Steven Brower and Nora Guthrie, fifty-two high-quality reproductions of political cartoons, pen and ink illustrations, watercolors, children's art, and oil paintings represent various stages and developments in Guthrie’s life as a visual artist. 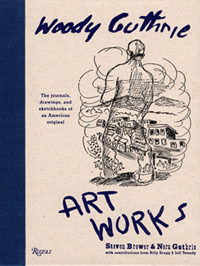 With images and text drawn from the eponymous publication, “Woody Guthrie Artworks, The Journals, Drawings, and Sketchbooks of an American Original” (Rizzoli 2005), the exhibit unveils a previously unexplored aspect of this American icon. This exhibit is comprised of 12 pieces; 6 photographs of Woody Guthrie dated from 1939-1954 and 6 lyrics from his collection of songwritings. An exuberant musical celebration of America, Woody Guthrie's American Song tells the life of the rambling folk singer through his words and music. After its debut in 1989, the musical has traveled all over America to rave reviews. 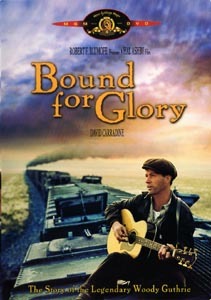 The musical follows Guthrie as he travels from the Dust Bowl to California and east to New York City. It includes over two dozen songs, including THIS LAND IS YOUR LAND, SO LONG IT'S BEEN GOOD TO KNOW YUH, PASTURES OF PLENTY, HARD TRAVELIN', and BOUND FOR GLORY. *This production is available to license for local theaters to produce. Painting by Charles Banks Wilson. Usage courtesy of Mr. Wilson and the Oklahoma State Senate Historical Preservation Fund, Inc.
A celebration of the music and words of America 's greatest ballad-maker. Woody's songs and history are combined with articles he wrote for the newspaper The People's World, to create a portrait of a real American hero who fought for the underdog. Broadway veteran David Lutken is supported by three multi-instrumentalist actors who bring Guthrie's music to life with twin fiddles, viola, guitars, bass, harmonica, banjo, mandolin, dulcimer, dobro and beautiful folk harmonies. Hitch a ride with Woody across the landscape of America’s music and dance traditions. His songs are used as the basis of the journey. 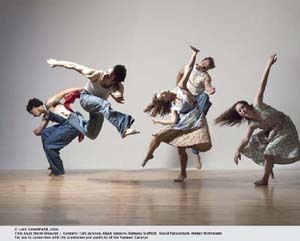 We feel the rhythms and the moods of Woody’s people in their dances: Southern Appalachian clog dancing, Western style squares and Virginia reels, New England contra dancing, Harlem’s lindy hop and New York’s modern, interpretive styles. This is a wonderful and innovative way of introducing Woody’s music to audiences of all ages. Workshops in all the instrumental and dance styles and school residencies are also available.